All content appearing on the Full Moon Dog Festival web site is the exclusive property of Knuckle Duster Management and is protected under the United Kingdom and International Copyright laws. Images and content may not be reproduced, copied, transmitted, or manipulated without the written permission of Knuckle Duster Management. 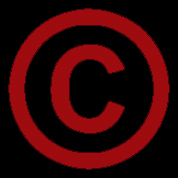 Use of any content is a violation of the United Kingdom and International Copyright laws.